Tricia's Take: We are all EARS! 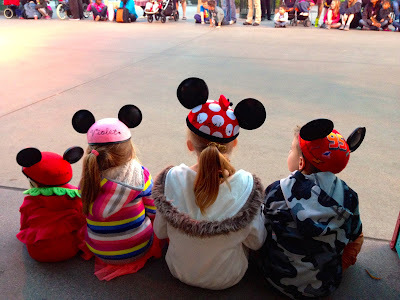 We just returned from Disneyland, we had an amazing time! I actually talked my hubby into getting annual passes (because we live 9 hours away, so I am sure you can see the wisdom in getting them!) We are planning on going a few times in the next year to make it worthwhile! I grabbed a few cute items for the trip for only a song and wanted to share the love! First off a few of the cutest pictures of my posterity! Do you want to eat her too? And now for fashion related topics! I also got a few comfortable pairs of shoes one here and one here (in navy)! More on some great finds coming up!! !